Arsenal made a surprise at week 22nd of Premier League. Arsene Wenger embarrassed Manchester City with two goals at the Etihad Stadium on Sunday, The first goal came from a penalty kick, Arsenal midfielder Santi Cazorla was be executor and did it easily in the first half. in the second half, Olivier Giroud add Arsenal win 2-0. This victory makes Arsenal available to get a Champions League chances. its just a point behind Manchester United that 4th position. 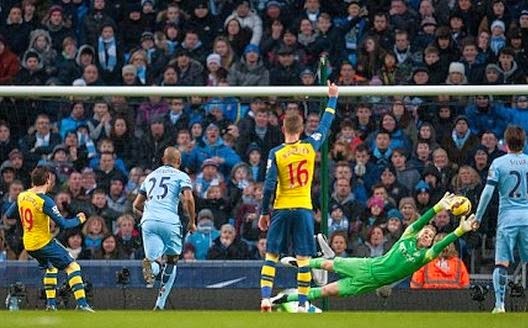 There are 6 Fascinating Facts of Manchester City vs Arsenal Big Match. For the first time City lost by two goals or more in three Premier League home match since September-October 2002. This season Arsenal has scored nine goals through a header. The last time City lost at home on Premeir League with a score two goals in 2010. At that time they beat Arsenal 3-0. This indicates that the defeat of Manchester City really need to Yaya Toure. City never won in four matches in the Premier League when Yaya did not play this season (three draws and one defeat). In this match Manchester City get 16 corner kick. This amount is still less than the record 19 times corner against Queens Park Rangers in 2012. 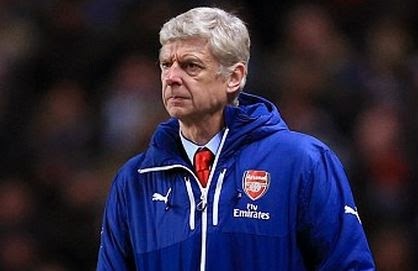 Before this match, Arsenal could only get seven points from the last 16 Premier League match when against Chelsea, Manchester United and City.